We started fostering with TACT in April 2018. Even though we are not care experienced, we were both brought up by people who were not our parents – my husband Steven was raised by his extended family after he lost his parents and I was brought up by a nanny. These early life experiences motivated us to want to make a difference to a child’s life. Once we made the decision to become foster carers, we looked at several fostering agencies and a few local authorities. However, we experienced a lot of negativity due to the fact that one of our two birth children is disabled, which was considered an obstacle to caring for other children. Fortunately, we didn’t get any of that negative attitude from TACT, therefore, we decided we wanted to foster through them. 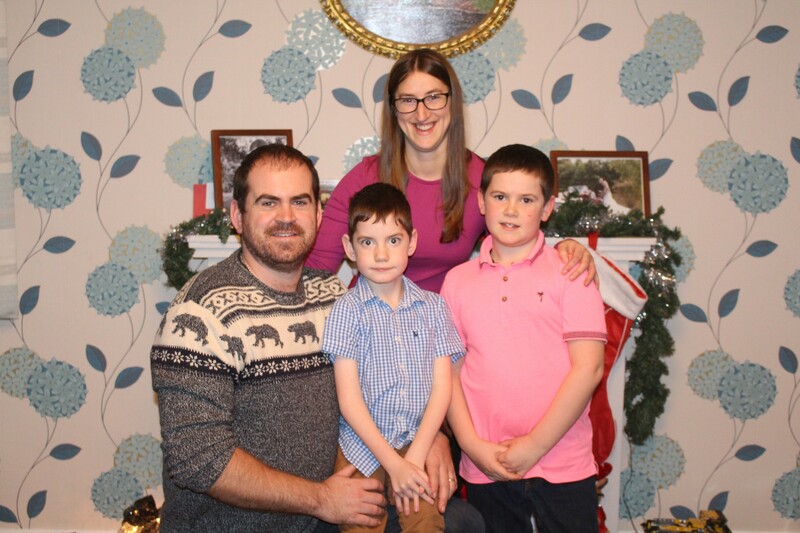 We knew that fostering would be hard, but we weren’t scared as we already had two boys aged seven and nine, so life has been quite full on anyway. Of course, doubling our family would make our lives even busier, but we knew we have a great support network around us. Also, some of our good friends are foster carers so they helped us with planning and preparation. Since September we have been caring for two siblings – a brother and a sister aged six and four. When we found out we were about to receive our first placement we felt a bit terrified. We received a phone call one morning and the children arrived the very same day. It was a hectic day, but there was no time to worry. Luckily the children have settled in well, and they quickly picked up some routines. They are enjoying their new school and they interact very well with our own children. We believe it is very important for these siblings to stay together. As English isn’t their first language, the older boy had to translate everything for his little sister when they first came. He doesn’t have to do that anymore as her English has improved, but it showed us what a great team they are, and how protective they are of each other. Even in this short period of time, we have been able to see some wonderful changes in our foster children. In the beginning we were worried about the older boy, as because of the circumstances they came from, he used to scream in his sleep and wake up in the middle of the night every time he heard any noise. Now he just sleeps through the night and he is so much calmer and more relaxed. The fact that he uses all his energy on running around and playing with our children and with his school friends certainly helps. Seeing our foster children progress in life and enjoy the opportunities they maybe haven’t had before feels wonderful. I would tell anyone who is considering fostering that it is the best thing that you’ll ever do. We believe fostering has been a wonderful experience not only for us but also for our birth children, including our disabled son. It has allowed him to see that even though he is disabled he is still perfectly able to help other people and make their lives better.